Robert Optical – Your Family Optician since 1951 – Achieve your Vision! New Hours for Thursday: 9:30 a.m. to 1:00 p.m. Your Family Optician since 1951 – Achieve your Vision! Robert (Bob) J. Schaefer, Jr.
Robert Optical is your source for quality optical products and eye exams in Buffalo since 1951, including Amherst, Cheektowaga, Williamsville, East Amherst, Harlem Kensington, Cleveland Drive, Lancaster, Orchard Park, Hamburg, Blasdell, Tonawanda, Eggertsville, Snyder, Eggert Road, Western New York, Kenmore, Niagara Falls, Wheatfield, Lockport, Clarence, Alden, East Aurora, Holland. Robert Optical’s goal is for you to achieve your vision and look good doing it! That starts with treating you more like family than a stranger. 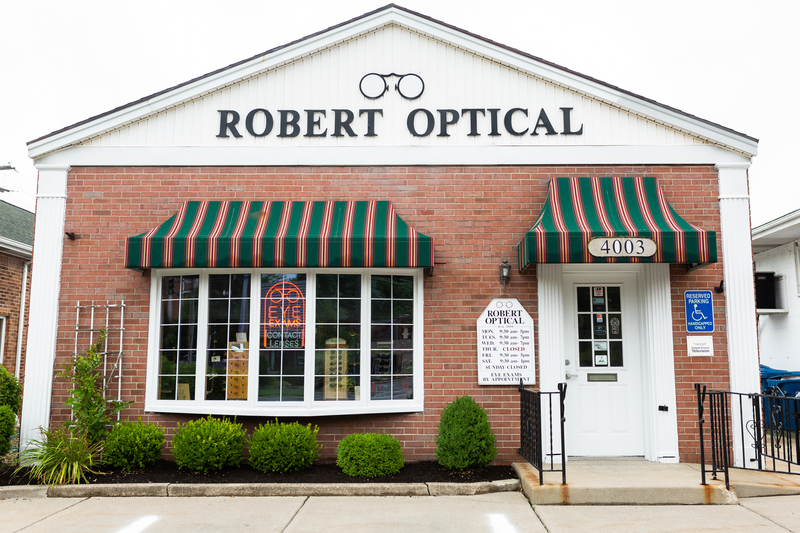 Robert Optical prides themselves on not only carrying the trendiest and top of the line products but making them affordable to everyone! Robert Optical offers top of the line designer eyewear. With over 1,000 frames, we feel confident you will be able to find eyewear that fits your style. From the time we walked in the front door to the time we left, there was such a positive vibe in the air. We were so impressed with the professionalism we received from the entire staff. Their selection of Silhouette frames & the guidance of all the staff for her New Glasses was over the top!! Polite, efficient, professional and best prices in town. What else could you ask for?! I’ve been going to Robert Optical for over 10 years. Not only do they treat me like a friend rather than a customer, but their service and products are top-notch. I highly recommend Robert Optical for any of your eye-care needs. From the doctors to Bob himself, they’ll take care of you! Robert Optical offers top of the line designer eyewear. With over 1,000 frames, we feel confident you will be able to find eyewear that fits your style. As part of our mission, we track and follow eyewear markets to ensure our collection of frames stay relevant to our customer needs! Take a look at some of our most popular and trendiest lines of frames.